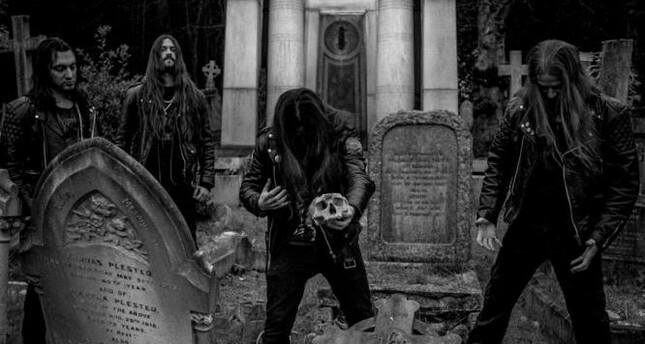 British death/black metal band Grave Miasma will perform for Turkish music lovers on Feb 23. Aiming to introduce new voices from Turkey and revive each area of social life with different experiences, the music initiative will continue supporting music production with events organized at numerous venues. Audioban will be the mediator of transmitting music to audiences in February. Offering DJ performances, concerts, discussions and workshops to its audiences, Audioban continues to take place in different venues of Istanbul with various events. Iranian drummer, composer and bell designer Torab Majlesi will be at the Audioban office. "Groove, Rhythm and Polyrhythm in Electronic and World Music with Torab Majlesi (Astroband Live)" will be held at Audioban Office on Feb. 6. Iranian drummer, composer and bell designer Torab Majlesi will be at the Audioban office tomorrow. After a presentation on the rhythm structures in electronic and world music, a workshop on creating new rhythm with "live looping" and "overlooping" in electronic music will be held with musician Mert Kayhan. Literature-based event series Winter Stories will be having its second get-together in February and a selection from young science fiction writers will be presented. The event is to take place on Feb. 13 at Karga. The jazz-funk band The Kites, who are preparing to share their first album "Sunset Vibes" under the Audioban label, will perform their songs for the first time in February. The Kites "Sunset Vibes" Album Launch concert will be held on Feb. 15 at Salon. Algorave, an event based on algorithm-based music generated by live coding techniques, will be held in Pan's Social House on Feb. 16 with performances from Konstantinos Vasilakos, Tuğba Selin and RAW. Toward the end of February, the British death/black metal band Grave Miasma will meet with Turkish music lovers at Karga Bar. As a part of Audoban's first event in Ankara, Partapart, one of the most productive teams of Istanbul's electronic music scene, will meet with listeners. "Audioban Presents: Partapart Label Night" will take place with performances from Ademan, Space Cast, Z-Axis and Men with a Plan at Riff Ankara on Feb. 8.